We at Man Recordings have always been huge fans of the freestyle music approach of Paris DJ and producer extraordinaire Feadz (of Edbanger fame). Back in 2009, Feadz made a contribution to the now legendary Funk Mundial series on Man Recordings with his take on the Mozart side of baile funk, “Subiu Desceu” ft. MC Wes. 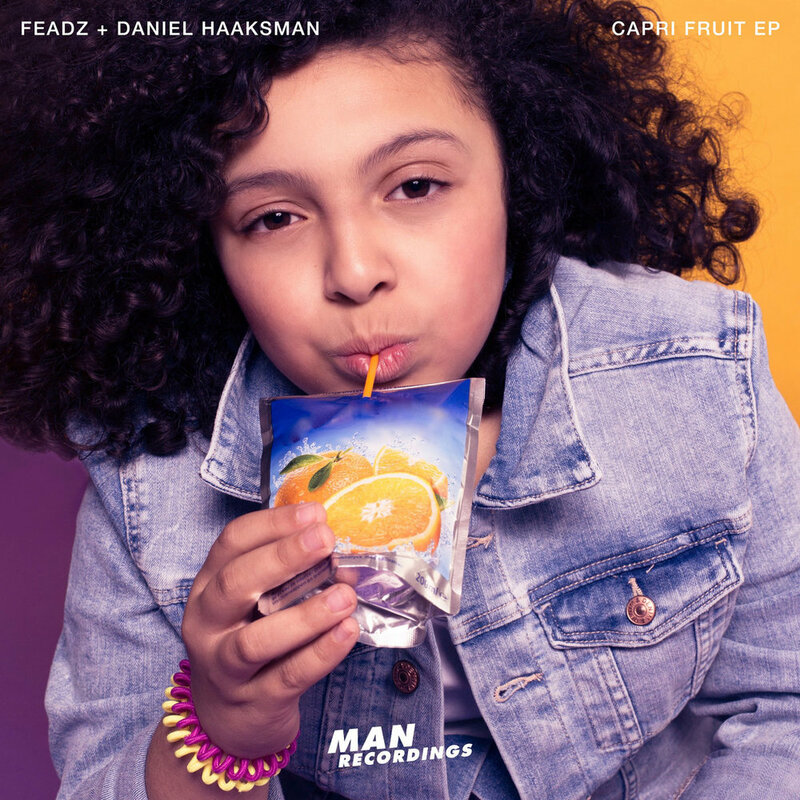 Now Feadz returns on our label with a juicy and sweet collaboration with our boss Daniel Haaksman. This European mixture of various pan-african influences comes on point for the summer. Imagine Coupé Décalé channeled through the mixing desk and synthesizer collection of Feadz and the beat making of Haaksman and voilá: Here´s “Capri Fruit”, a club-ready, 707 swinging summer carnival anthem. As an extra special bonbon, DJ Chap Teklife put “Capri Fruit” on a manic footwork tip. The closing track is the high-speed “E#otic Rain”. Werk it, sweat it, juice it and open up the Capri Fruit and say ahh!